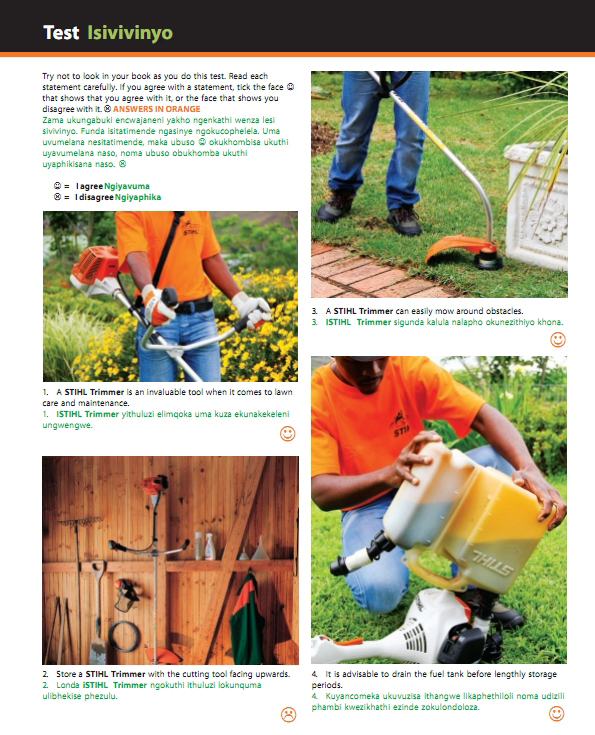 The STIHL Gardening Assistant Series will guide you and your gardening assistant on various aspects of gardening. 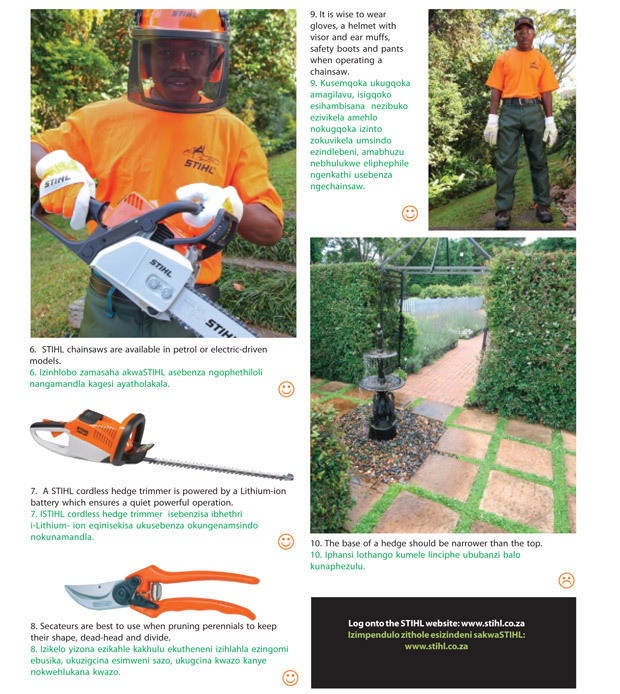 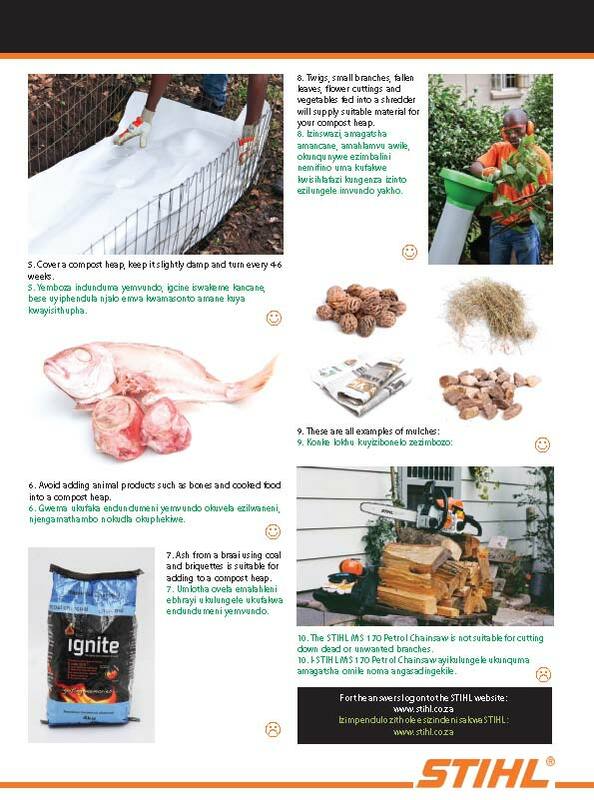 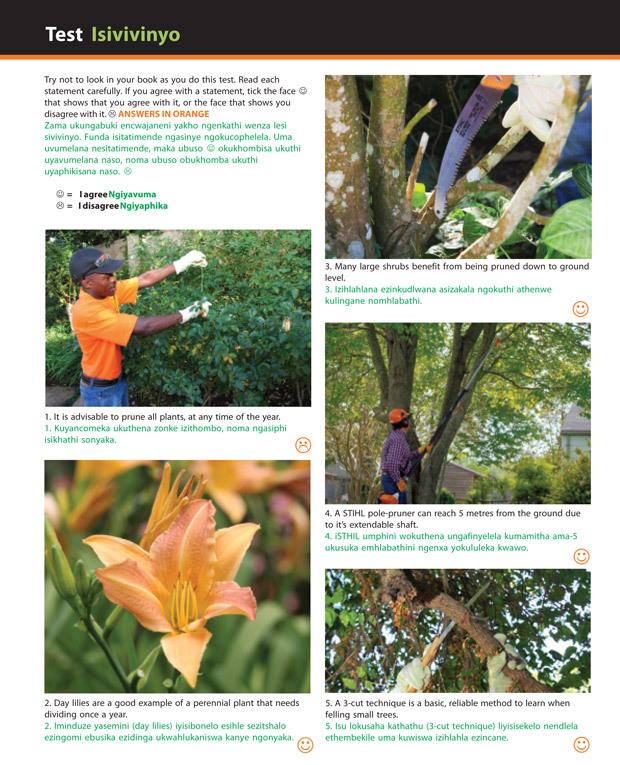 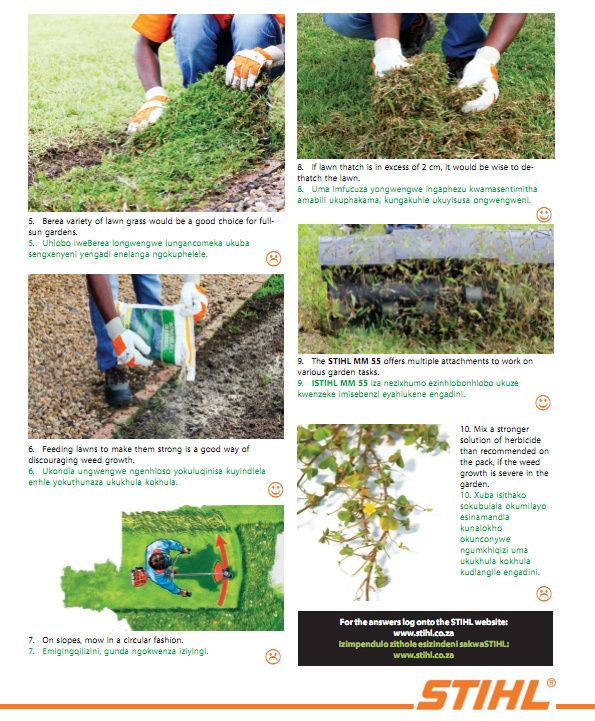 Look out for them in The Gardener and Die Tuinier magazines or visit your local STIHL dealer. 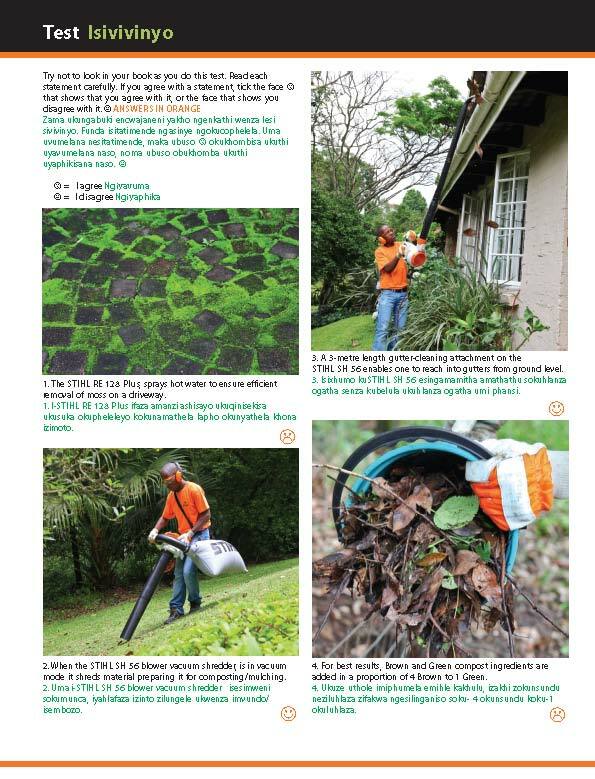 They are printed in English and IsiZulu; the Afrikaans and Sesotho versions can be downloaded here.